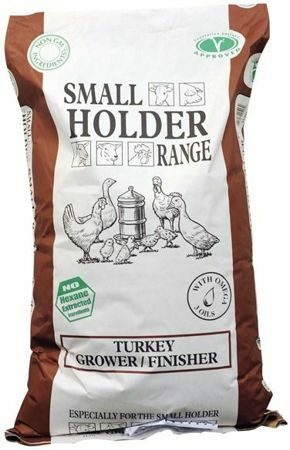 Turkey Grower / Finisher Pellets can be fed from 5 weeks. Feed from about 5 weeks old to finish. Provide on an ad lib basis. Introduce a new feed gradually over 7 to 10 days to help a smooth change over. This feed should be fed with ad lib fresh water.